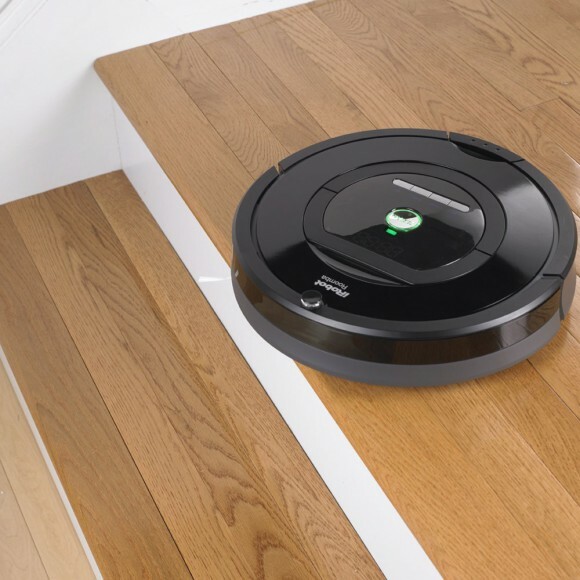 In this article we will explain all of the similarities and differences in the iRobot Roomba 770 vs 650 models. 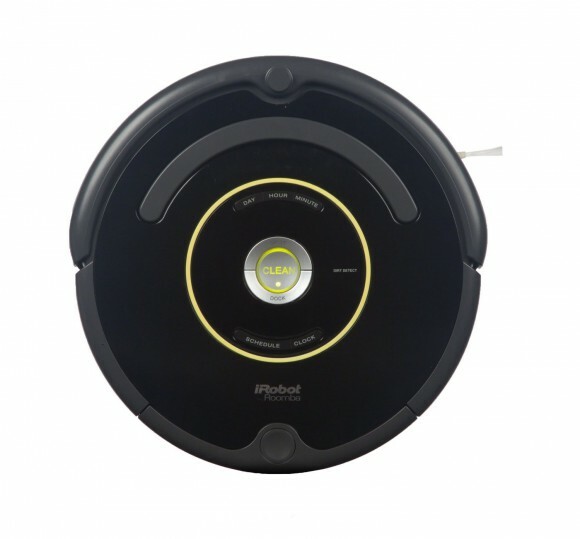 We will also show you why you should consider upgrading your robot vacuum cleaner to a Roomba 770 if you’re a current 650 owner. With that being said, both of these vacuums do a good job at passively cleaning the floors in your home. Although they will require a little more manual intervention than newer models like the 800 and 900 series units, they do a phenomenal job for their price. 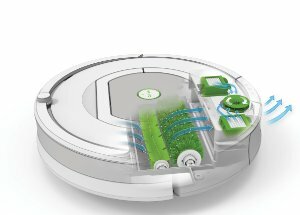 The Roomba 770 introduces a few noteworthy improvements over the 650 including remote control capability and optical dirt seeking sensors. 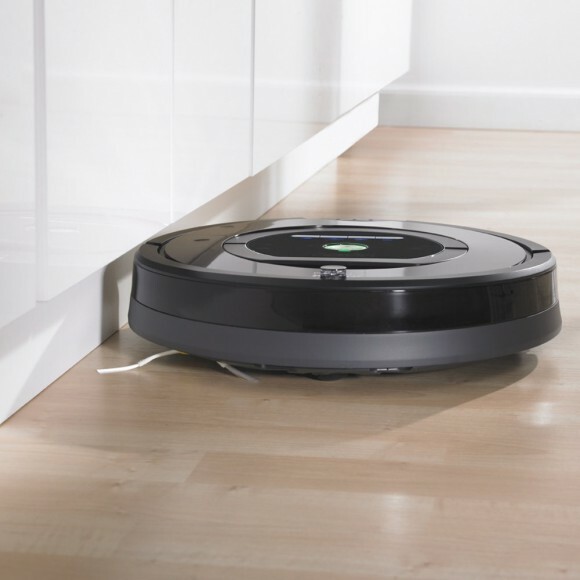 Below is a listing of what makes these robotic vacuums similar and different. Both of these Roomba vacuums come with 7 day schedule programming. The user simply inputs the days and times they want the Roomba to clean and it will follow that schedule indefinitely. Furthermore, if you want to initiate an unscheduled cleaning session, the clean button on the top of the Roomba will do so. These robotic vacuums can handle a myriad of flooring types ranging from rugs and laminate to carpet and hardwood among others. They will also automatically readjust when transferring between different flooring types. 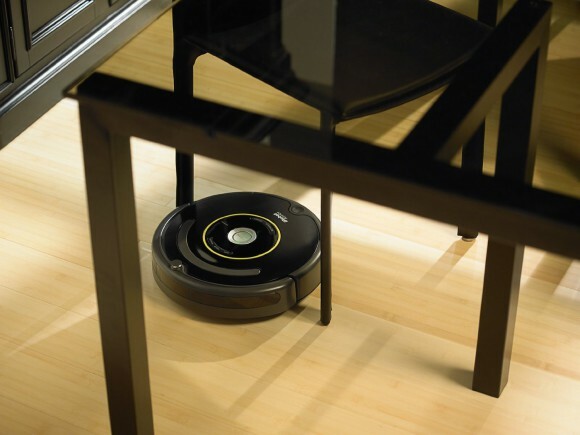 iRobot’s 3-stage cleaning system is used in these robot vacuums. These stages include agitating, brushing, and suctioning dirt and debris off the floor’s surface. A spinning side brush protrudes from beneath these Roombas to clean areas it can’t directly pass over like corners and moldings. 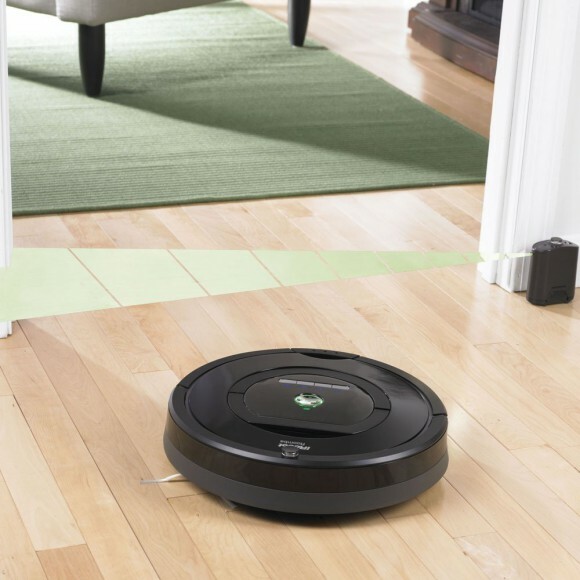 Acoustic sensors on these Roombas enable them to find dirty areas that need attention. 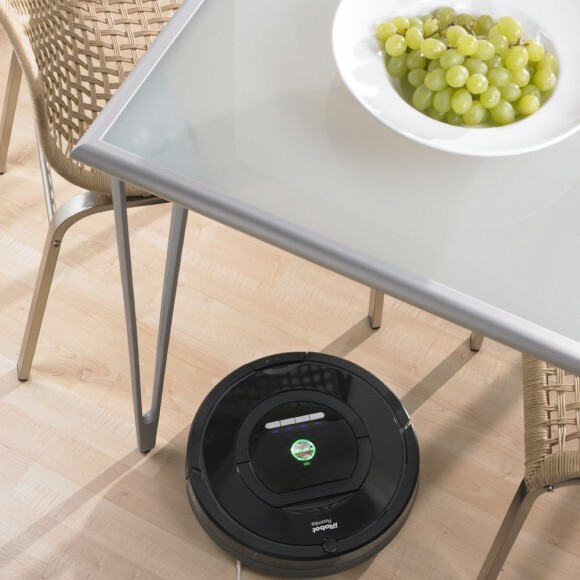 This allows the Roombas to efficiently use their time on the areas that need it most. Their relatively slim height allows them to get beneath furniture and bedding. The iAdapt Navigation System identifies all objects within your living area. The Roombas will account for these objects and seamlessly navigate around them. These automatic vacuum cleaners have sensors that tell them when they are by a staircase or ledge. They will navigate away from these areas when detected so they don’t get damaged. Virtual wall sensors are included with these Roombas to create artificial barriers. These are used to stop them from accessing rooms you don’t want them to venture into. When these automatic vacuum cleaners are running low on battery, they will automatically head back to their charging stations where they will charge themselves. Upon completion, they will either remain idle til their next scheduled cleaning time or resume a cleaning session if it was’t completed prior to running out of battery. 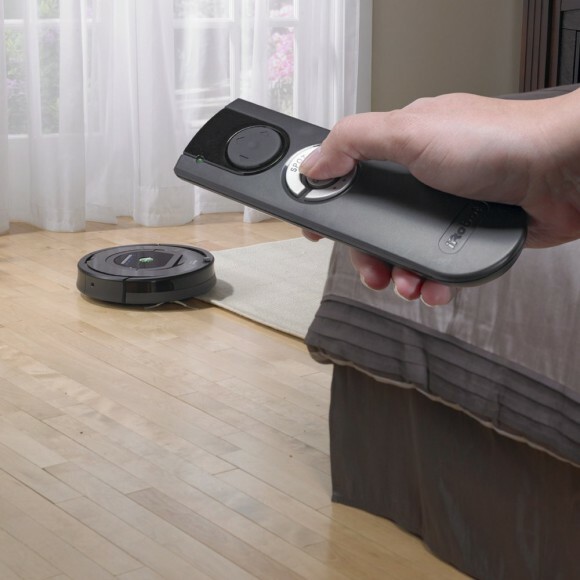 Unlike the Roomba 650, the 770 now includes a remote control. This remote allows the user to change the unit’s settings, initiate a cleaning session, or actually control the Roomba. 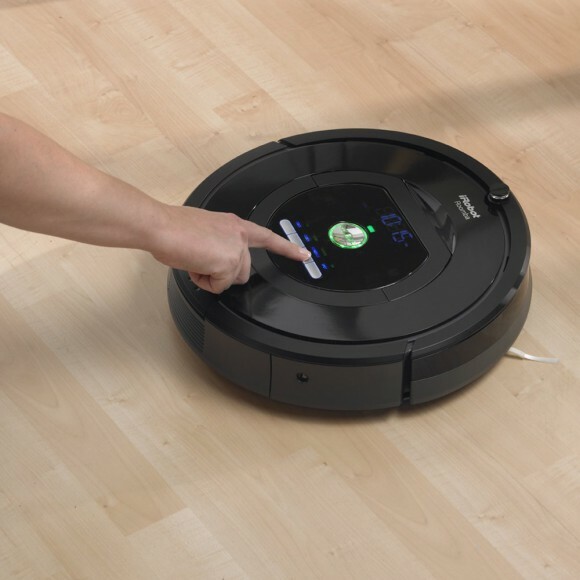 The Roomba 770 is equipped with Dirt Detect Series II which integrates optical sensors to work in concert with the acoustic sensors found on both Roomba models. These new sensors enable it to more accurately find dirty areas that require additional vacuuming. 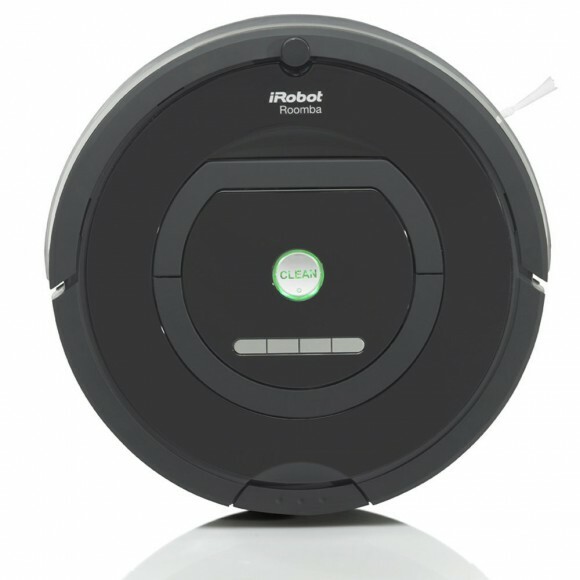 You generally can’t go wrong with any iRobot product. They come very well regarded from reviewers across the web. People state that these Roombas do a great job at cleaning their floors. They set them for when they’re not around so they can come back to clean homes every day. The general consensus is overwhelmingly favorable for both of these robot vacuums. The people who tend to benefit the most are pet owners and those with allergies. Most people were pretty skeptical upon purchasing these units but quickly found out that they lived up to the hype. Those who have owned both the 650 and 770 prefer the 770 as it does a better job at vacuuming. The new set of integrated optical sensors have enabled it to find more dirt and debris than the 650. Overall, people really appreciate their iRobot Roomba vacuum cleaners. You can’t go wrong with either of these automatic vacuum cleaners. They are wonderful home automation appliances that require little effort on your behalf to keep your floors clean. 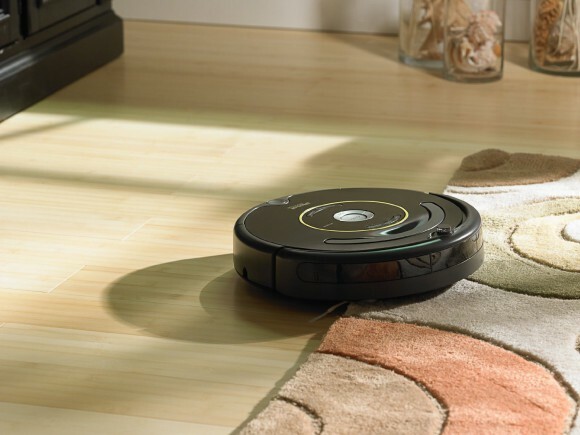 In the iRobot Roomba 770 vs 650 debate, we recommend springing for the Roomba 770 robot vacuum cleaner. Its upgraded technology allows it to do a superior job at vacuuming. Users will certainly appreciate these features for the extra money. At the end of the day, Appliance Savvy gives both of these robot vacuum cleaners their seal of approval! I had always wondered if Roomba was worth the hype. I absolutely HATE vacuuming with a passion and will do whatever I can to get out of it. I really appreciate you writing this review of both the Roomba 770 and the 650. It really gives me a push to think about purchasing. Both of these robot vacuums are excellent choices. If you have any further questions please don’t hesitate to ask! These are so cool. I had never thought about wanting one as I thought , how go of a job could they possibly do. After reading your article I am reconsidering. My only questions would be what is the life expectancy of them? If they last a long enough I’d like to get one. These automatic vacuum cleaners should last quite a long time. Check out some of the reviews and you’ll find plenty of happy owners that have had these units for years. Thank you for your review on these automatic irobot vacums, they are kind of cute little gadgets. Has any ever got out of control, how long has these things been available? Can these do steps, I have a two floor home and just wondering if they could do my steps from the one floor to the next floor? I really dislike having to do my steps, this would be a very appreciated gift if they could do my steps for me. These have been around for a while now and they’ve come quite a long way. They can’t do the stairs. People often bring it from 1 floor to the next since each floor doesn’t have to be done daily. Best of luck with your purchase. You can’t go wrong with a Roomba! Both of these Roombas work beautifully on hardwood floors. However, if you have pets, I’d highly recommend considering the Roomba 880 or the Roomba 980 instead. These models have rubberized extractors which work much better for pet hair. They are more expensive but certainly worth the additional cost. I’ve been debating between these two models for a while now unclear of which I should get. Now I figure I’m better off doing the 770 because it’s suppose to clean better. Thank you for saving me time and money and telling me which one is a better deal for me. You’re very welcome. You will not be disappointed with the Roomba 770. Let us know how things turn out! My husband and I have been talking about getting a Roomba, so I decided to do a bit of research before hand. I had no idea there were so many models. Since I don’t have one, are you able to recommend a good model to start with? From what you wrote in this article it sounds like the Roomba 770 is probably a bit better than the 650. I would be using it on our main floor which is hardwood and tile with one area rug. I would definitely recommend the 770 over the 650 if you don’t mind the price increase. They will both do a good job but the 770 will do far better. Best of luck!